Bed Hug Boards from Hatzenbichler Australia ensure that accuracy of row placement is easily achieved. Hug Boards may be fixed to all sorts of farm machinery, including planters and seeders. They can adapt easily to any shape, size and depth bed. In addition, they are lined with high wear-resistant non-sticking material. 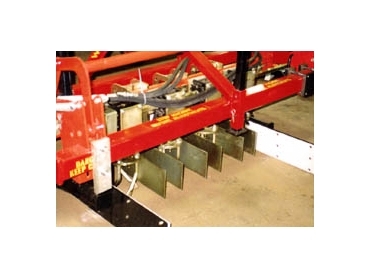 Hatzenbichler Australia are importers of the Hatzenbichler range of broad acre and row crop implements that include Comb Harrows, Roll Stars and Exaktor seed boxes.